Jason Scott, Clinical Coordinator at DaVita, Inc. has been selected to join the Nursing Board at the American Health Council. He will be sharing his knowledge and expertise in Nursing, Patient Care, and Dialysis. Amassing over eight years of experience in the field of Nursing, Jason offers valuable insight in his role as a Clinical Coordinator at DaVita, Inc. DaVita Inc. serves as the parent company of DaVita Kidney Care and HealthCare Partners, a leading provider of kidney care in the United States. 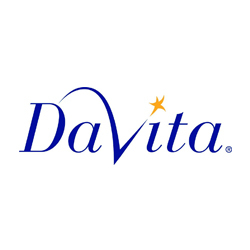 DaVita prides itself in delivering dialysis services to patients with chronic kidney failure and end stage renal disease by developing programs to enrich lives and the community. In his current capacity as a Clinical Coordinator at DaVita, Inc. since 2014, Jason’s day-to-day responsibilities include general oversight of the nursing services and administrative services. He oversees 8 teammates, speaks with patients, reviews documentation, and provides holistic care for patients. Additionally, Jason works as a primary nurse on the floor three to four times a week. In 2009, Jason earned an associate degree in Nursing from Aquinas College. Jason became involved in the field after joining the Air Force upon graduation from high school, where he became a surgical technician. After witnessing unsafe nursing practices, he vowed to become a nurse to ensure that patients are taken care of properly. Looking back, he attributes his success to his belief that taking care of a patient’s mental state is crucial to their overall well-being. As a testament to his success, Jason is honored to be a recipient of the Core Value Award for Integrity (2016), Core Value Award for Service Excellence (2016), and Core Value Award for Team (2017) by DaVita Healthcare. Outside of work, Jason volunteers on the Multicultural Integrated Kidney Education (MIKE) Board of Directors, where he promotes a healthy lifestyle to bring awareness of kidney failure to teenagers of various socioeconomic status. Considering the future, Jason hopes to pursue a Master of Science in Nursing degree in the field of Administration or Informatics. General oversight of the nursing services, administrative services, and financial services. He is responsible for the management of 12 teammates, speaking with patients, reviewing documentation, & providing documentation to teammates. Additionally, works as a primary nurse on the floor.